Not much to say other than, they are seriously addictive! I wrote about the technique in my recent newsletter, but thought it might be worth sharing here as well. I shot this with my Fuji X-T1 which worked perfectly! Understanding the proper technique is important. Thank you Jonathan Kingston! Shoot in Manual Mode with your f/stop at f/8 and shutter speed at 1/2000. Now set your ISO to AUTO. On my Fuji (and with Nikon) with the new version 4.0 firmware, auto ISO in this set up allows the ISO to float to make a correct exposure while locking in f/stop and aperture. Very cool! Next, go to your menu and choose AF-C and Wide Tracking. The last thing I did was shoot in continuous high. 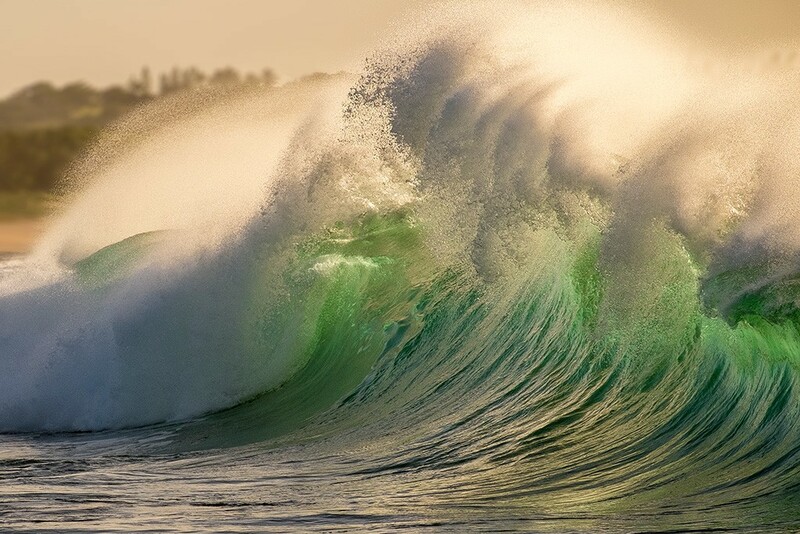 Keep the waves coming! Thx for XT1 tips. Thanks for the tips, John. I missed so many of these while I was rescuing the stuck memory card! Have to be grateful for the one I did get!!!!!! You’re welcome. Sorry you had a card issue! Cloud Man became Wave Man….? Fantastic images John. In an earlier blog you spoke about, I think you called them, life-time images. Meaning those images that stand out as exceptional even among many exceptional images. 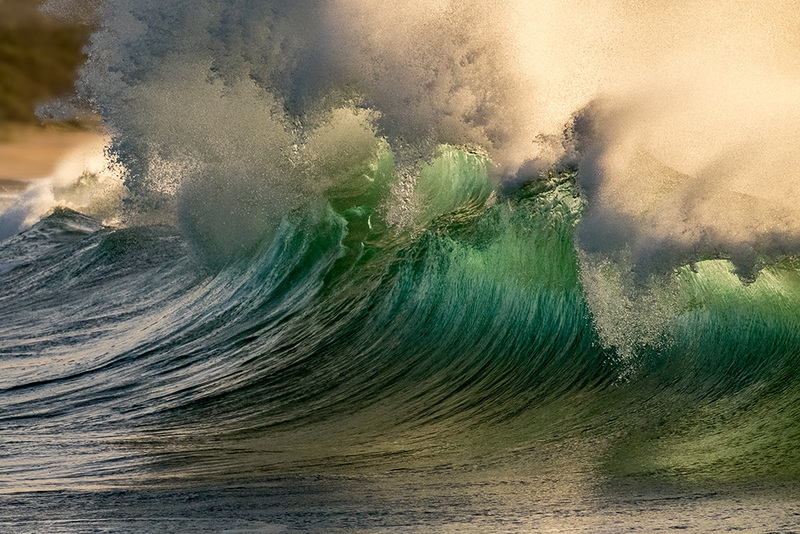 Your image portrays the essence of a breaking wave – power, beauty; nature at its best. And, I love the jade green water. Wow! Beautiful John, thanks for the tips! You make it sound so easy! You overlooked mentioning your skill for finding the right technique for the right scene. Nice! These waves are really amazing John. They truly give you the feel of a ‘moment frozen in time’! Thanks for the technique explanation……..I will have to try it next time I go to Hawaii. Wait….I’ve never been to Hawaii……..Bucket List!!!!!!!!! Great shot and great info. Can’t wait to try it on the waves here in Central California!